Hungry students and neighborhood residents regularly patronize this under-the-radar spot. 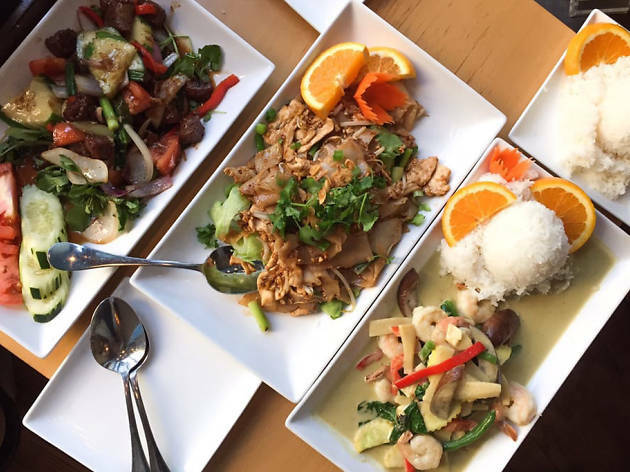 You’ll find Thai classics like crispy chicken basil and pad thai as well as unusual dishes such as tangerine pork, wild boar basil, and Bangkok ribs. 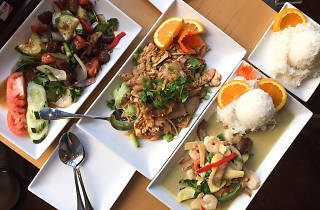 There’s a separate Vietnamese menu if your dining companions prefer other flavors, but both cuisines are equally well-prepared. Decent wine and beer lists add to the experience.